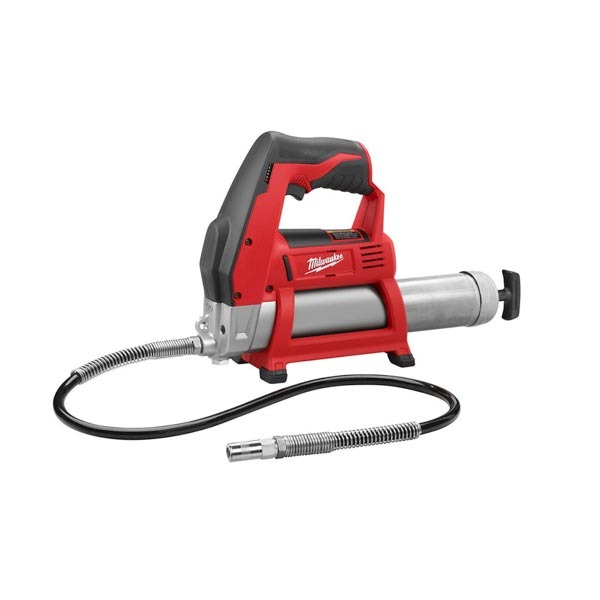 The Milwaukee grease guns are available in 12v and 18v and are ideal to use for heavy duty applications. The guns combine productivity, high pressure and versatility. The grease guns have up to 25% more pressure and run-time than the competition. For extra comfort, the grease guns are lightweight with an ergonomic handle. The guns also have an on board hose storage and a shoulder strap loop for added comfort and convenience.